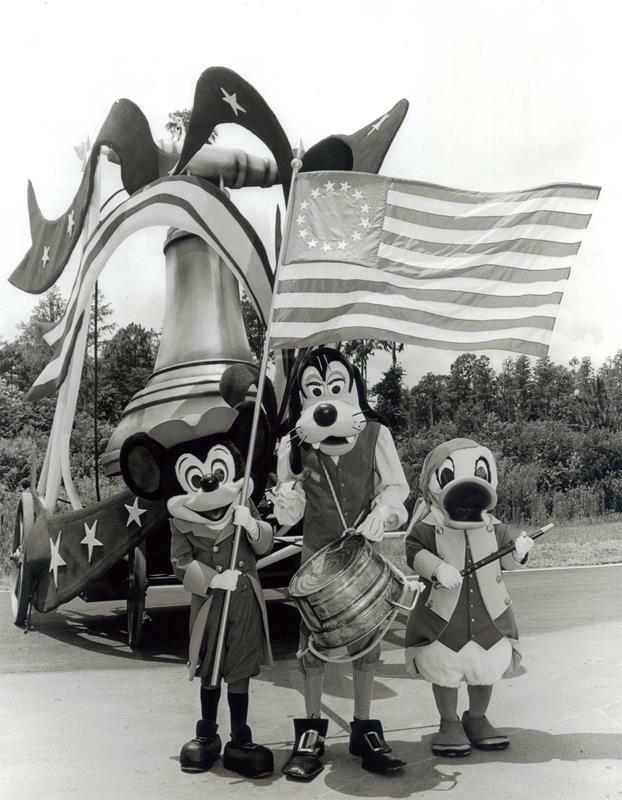 We’ve talked quite a bit about America on Parade throughout the years, but we’re dedicating the entire week leading up to the Fourth of July to Disney’s Bicentennial celebration. Fact sheets, musical history, and even vintage press releases are all coming up later in the week. Before we get going, and to set the stage appropriately, let’s take a look back at previous articles. A dazzling, fun-filled pageant – Our original look at what comprised America on Parade. People of America – Examining the unique doll-inspired figures from the parade. 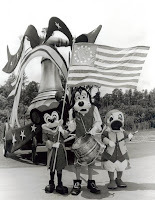 The whole story of America – An exploration of the Little Golden Book featuring Donald Duck’s viewing of the parade. Historical Proudly Uproarical Fourth – A pair of glimpses into the parade itself. New tags on the way – Even Cast Members had special nametags to celebrate the event.